With mortgage credit availability and mortgage applications both up, applications for new home purchases spiked in March, according to the Mortgage Bankers Association . The MBA said Thursday  that mortgage applications for new home purchases jumped almost 17 percent from March to February, directly on the heels of findings that mortgage credit availability  increased by 2.3 percent and mortgage applications  increased by almost half a percent from the week prior. According to the MBA, there were roughly 49,000 new home sales in March, compared to February’s 42,000. 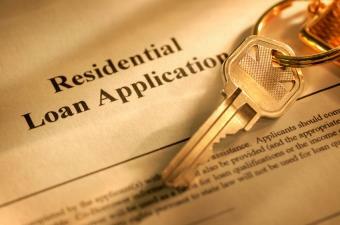 The MBA also found that the average loan size of new homes increased by about $3,000 to $314,394 in March. Conventional loans made up a full two-thirds of total loan applications, FHA loans a full fifth. “Overall, applications for new home purchases during the first quarter of 2015 increased 20 percent relative to the first quarter of last year,” said Lynn Fisher, MBA’s vice president of research and economics, who also expects new construction starts to rise into summer. Fisher credited February’s strong job numbers and low interest rates for boosting the rise in mortgage applications. According to the Bureau of Labor Statistics , there were 264,000 new jobs created in February. There were 126,000 created in March. Mike Fratantoni, MBA's chief economist, credited the same dichotomy of new jobs and low rates for the rise in purchase mortgage application volume last week. "Purchase volume has increased for three straight weeks now on a seasonally adjusted basis," Frantantoni said. The refinance share of mortgage activity dropped to 57 percent of total applications, its lowest level since October 2014, and down from 60 percent the previous week. As for credit availability, Fratantoni said that “a number of factors contributed to a loosening of credit in March.” One factor is Freddie Mac 's introduction of its 97 percent LTV program, which allows for as little as 3 percent down payment on a new home purchase. Other factors included looser parameters on jumbo loan programs, increased cash-out refinance loans offerings, and the growth of FHA ’s VA Interest Rate Reduction Refinance Loan. “As a result of these changes, all four component indexes of the MCAI increased last month: jumbo, conforming, conventional, and government,” Frantantoni said. And although credit remains tight by historical standards, “this increase in availability, coupled with low rates and job market strength, should lead to stronger home purchase activity this spring," he said.